Speaker: Executive Producer, Jeff Horowitz And local groups will share actions you can take to move towards a healthier climate! Climate change is the biggest challenge humanity has ever faced – and it is also our greatest opportunity. We have the solutions we need, but we are in a race against the clock to implement them in time. Oscar-winning documentary director Charles Ferguson captures the urgency and innovation of this critical moment in his new film, Time to Choose. 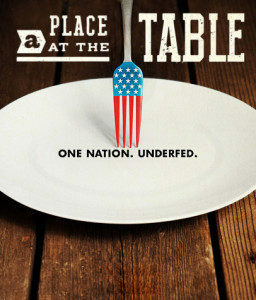 The film looks at the climate threats and explores the remarkable stories of people changing our world for the better. It looks squarely at this unique moment on earth, with an eye to helping change the course of human history. Award winning Canadian film that tells the story of a young indigenous leader and lawyer who builds a powerful movement to increase awareness of hydraulic fracking on First Nation lands. What if confronting the climate crisis is the best chance we’ll ever get to build a better world? 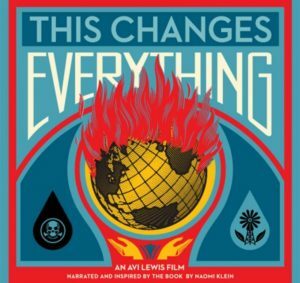 This Changes Everything is an epic attempt to re-imagine the vast challenge of climate change. Directed by Avi Lewis, and inspired by Naomi Klein’s international non-fiction bestseller This Changes Everything, the film presents seven powerful portraits of communities on the front lines. 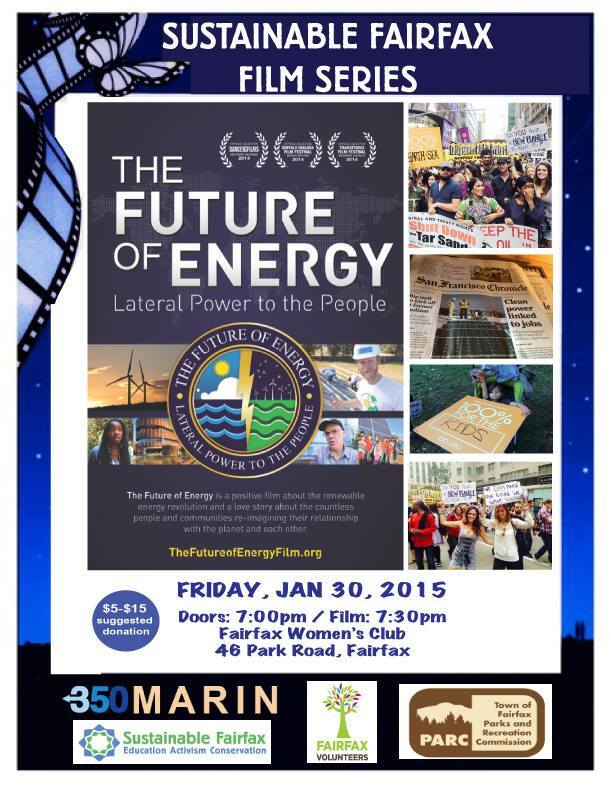 The Future of Energy: Lateral Power to the People is a powerful documentary that captures the movement across the United States to transition to renewable energy and what everyday people can do to help foster the shift. 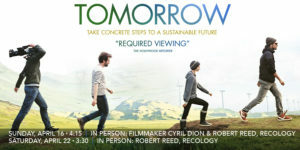 The Future of Energy is a positive, fun film that focuses on energy solutions and the people behind the renewable energy revolution. It’s a love story about people re-imagining their relationship to the planet, and falling back in love with the Earth and each other. 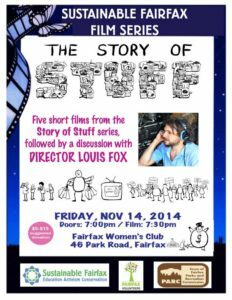 If you are not familiar with Story of Stuff, it all began about 7 years ago when Annie Leonard and Free Range Studios put together a 20-minute movie about the way we make, use, and throw away Stuff. It went viral on the internet, unleashing a torrent of pent-up demand for honest conversation about the impacts of our consumer-crazed culture on people and the planet. Since then It has been viewed more than 40 million times worldwide. From this the Story of Stuff Project emerged, including, among other things, more films that address different topics brought up during the original film. Speaker: Louis Fox of Free Range Studios. How to Build an EcoVillage! 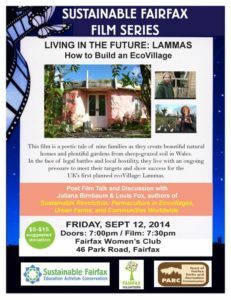 Post Film Talk and Discussion: Juliana Birnbaum and Louis Fox, authors of the book, Sustainable Revolution: Pernaculture in EcoVillages, Urban Farms and Communities Worldwide, will talk about their book and lead a discussion about the themes from the film. 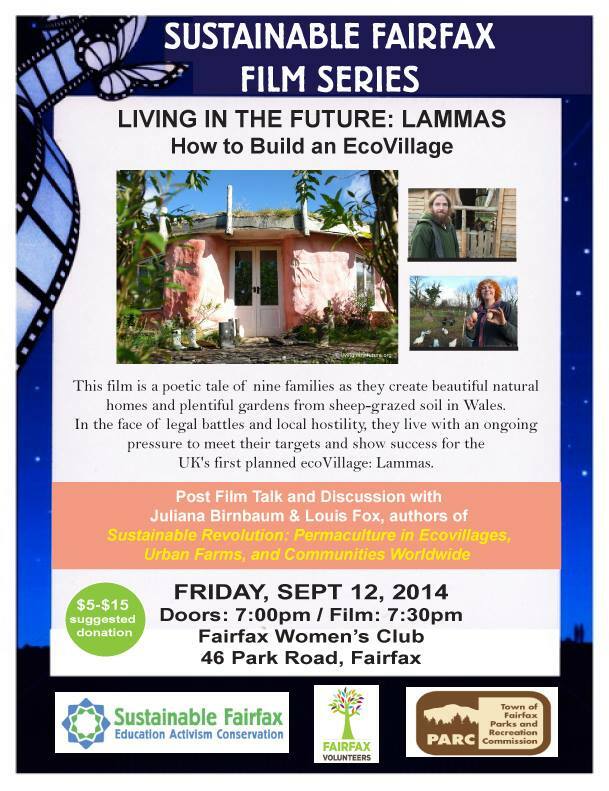 This film is part of the Sustainable Fairfax film series and is co-sponsored by Fairfax Volunteers and Fairfax Parks and Recreation. When: Friday, May 2, 2014 Post-Film Discussion: Directors James Redford and Kirby Walker TOXIC HOT SEAT tells the story of a growing tide of activists, journalists and citizen groups who are bringing an end to the era of manipulation and misinformation about hidden toxic chemicals. 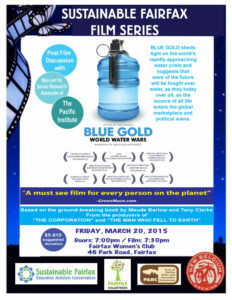 Sponsored by Sustainable Fairfax and Moms Advocating Sustainability (MOMAS) Click here for details about the movie. The Emmy Award winning film,Green Fire, the first full-length documentary film ever made about legendary environmentalist Aldo Leopold. Green Fire highlights Leopold’s extraordinary career, tracing how he shaped and influenced the modern environmental movement. Leopold remains relevant today, inspiring projects all over the country that connect people and land. When:September 13, 2013 Doors 6:30, film 7:00 p.m.
Co-Director Emmanuel Vaughan-Lee will appear in person and answer questions after the film. With a fresh approach Elemental tells the story of three individuals united by their deep connection with nature and driven to confront some of the most pressing ecological challenges of our time. 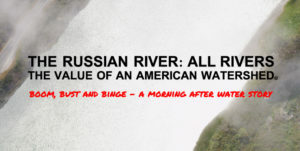 Separated by continents yet sharing an unwavering commitment to protecting nature, the characters in this story are complex, flawed, postmodern heroes for whom stemming the tide of environmental destruction fades in and out of view – part mirage, part miracle. QUEEN OF THE SUN is a profound, alternative look at the global bee crisis. Taking us on a journey through the catastrophic disappearance of bees and the mysterious world of the beehive, this alarming and ultimately uplifting film weaves together a dramatic story of the heart-felt struggles of beekeepers, scientists and philosophers around the world.Watch trailer here.This spellbinding film explores the long-term causes that have led to one of our most urgent global food crises, illuminating the deep link between humans and bees. The story unveils 10,000 years of beekeeping, highlighting how that historic and sacred relationship has been lost. Inspiring and entertaining, QUEEN OF THE SUN uncovers the problems and solutions in renewing a culture in balance with nature. Sustainable Fairfax and Fairfax Moms are pleased to provide a screening of MISS REPRESENTATION, a Sundance Film Festival winner, written and directed by Jennifer Siebel Newsom. The film exposes how mainstream media contribute to the under-representation of women in positions of power and influence in America. This trend can prevent women from reaching their full potential, thereby presenting a roadblock to attaining a thriving and sustainable community and culture. CHASING ICE, winner of best cinematography at the 2012 Sundance Film Festival, is the story of one man’s mission to change the tide of history by gathering undeniable evidence of our changing planet,See Preview Here!With a band of young adventurers in tow, National Geographic photographer James Balog deployed revolutionary time-lapse cameras across the brutal Arctic to capture a multi-year record of the world’s changing glaciers. His hauntingly beautiful videos compress years into seconds and capture ancient mountains of ice in motion as they disappear at a breathtaking rate. Chasing Ice depicts a photographer trying to deliver evidence and hope to our carbon-powered planet. The images are stunning. This movie should not be missed. 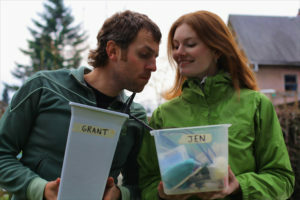 TRASHED is a provocative investigation of the fastest growing industry in North America – the garbage business. Is there a better model? Actor Jeremy Irons guides us through both the problems and solutions.to pressing environmental problems. 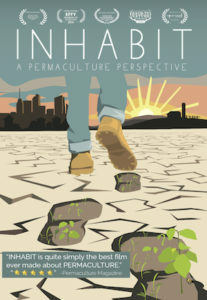 Filmed on four continents, featuring esteemed scientists and working farmers and ranchers, Symphony of the Soil is an intriguing presentation that highlights the role of healthy soil in creating healthy planets that nurture healthy humans living on a healthy planet. Communities in California are now fighting chemical hydraulic fracking, a destructive natural gas drilling process which causes earthquakes and contaminates our water. Gasland is an award winning documentary film chronicling how communities across the US are negatively impacted by fracking operations, Join Sustainable Fairfax for this entertaining and engrossing film and learn what you can do to fight back! 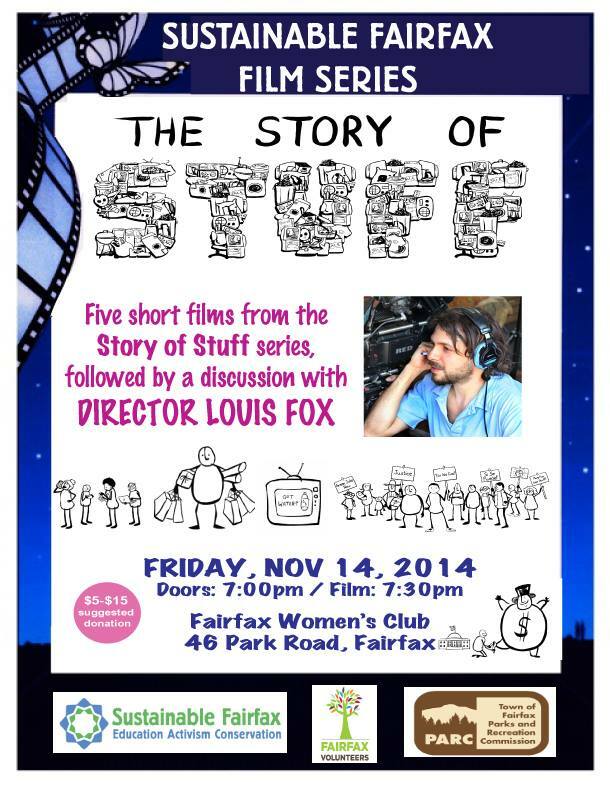 The film is sponsored by ‘Fairfax Tomorrow’ and the Fairfax Town Council. 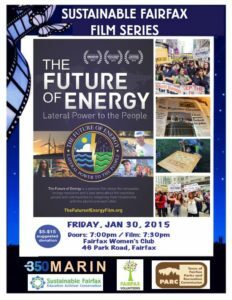 Sustainable Fairfax is cosponsoring the event along with Pesticide Free Zone, The Marin Grange, and GMO Free Marin.